Justin Marshall is a former professional rugby player who turned out for one of the world’s most fearsome sides: the All Blacks. The New Zealander made his first appearance for the side aged 22 and after that game against France went on to play more than 80 times for his national side, always making a key contribution when he did so. 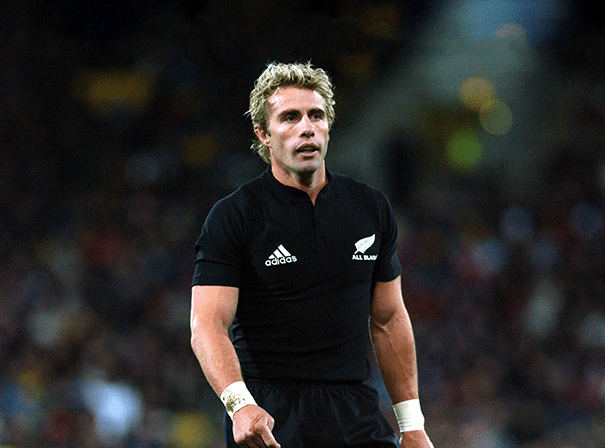 In all he scored an impressive 24 tries in Test Matches and holds the fine record of being the third most capped ever played for New Zealand in all of their international history. He is the most capped player for his position, scrum half, and played in two separate World Cups, the first in 1999 and the second in 2003. Such a leader on the pitch is he that Justin was also captain of his national side, picking up the honour for the first time in 1997, in turn becoming the 54th man to do so. He started as captain on a UK tour and was a great leader on and off the field who now carries that over into his fine after dinner speaking engagements, as well as his role a brand ambassador. With such great insight into the game and such vast experience of playing it, there is no wonder Justin became a popular pundit on Sky Sports after retiring from the game. Domestically he was also a vital player who turned out for the Canterbury Crusaders side when it dominated Super Rugby, making more than 100 appearances.